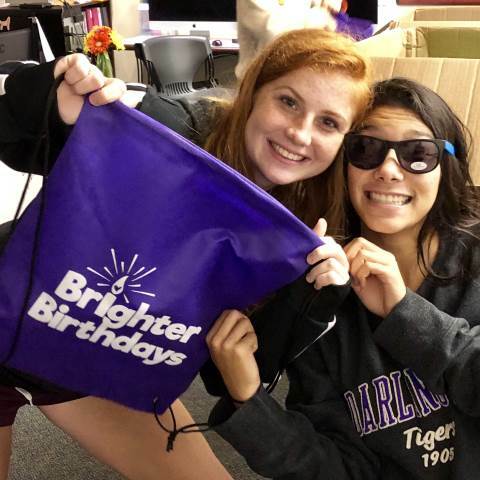 Girls from Cooper, Regester and Thornwood Houses packed 125 "Brighter Birthdays" bags for the local school the Design Thinking class has adopted. The girl houses will pack 125 more birthday bags on Dec. 13. Darlington will send a total of 600 birthday bags to the local school. Brighter Birthdays is a community service organization that helps children in need celebrate their birthdays through the delivery of bags filled with toys and living essentials.